The expansion of bicycle-based travel options has been an important element of Eastern Corridor improvements since the Program’s inception in 1999. Many planning and development studies, including the 2002 Land Use Vision Plan and 2005 Green Infrastructure Concept Master Plan, have helped shape and document local visions for new bicycle connections throughout the region. This map identifies bike routes that have been proposed thus far for linking the Red Bank Corridor to the surrounding biking facilities. 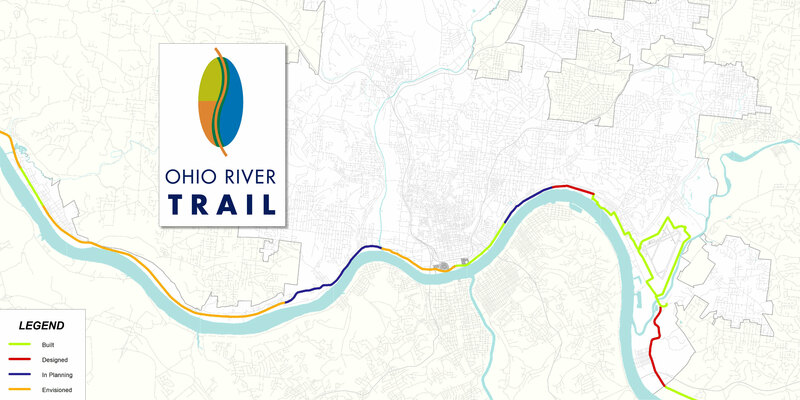 Specific routes may change as detailed design progresses. In addition to the bike connections listed above, more are being planned as part of the Eastern Corridor Program’s four core projects. Improvements being planned for the Red Bank Corridor as discussed in the Preferred Alternative Implementation Plan will expand connectivity for bicyclists through the project area. A bike/pedestrian advisory subcommittee is being formed to provide recommendations on connections needed to existing and/or proposed bike linkages within the area. Specific details will be developed during upcoming project planning phases. 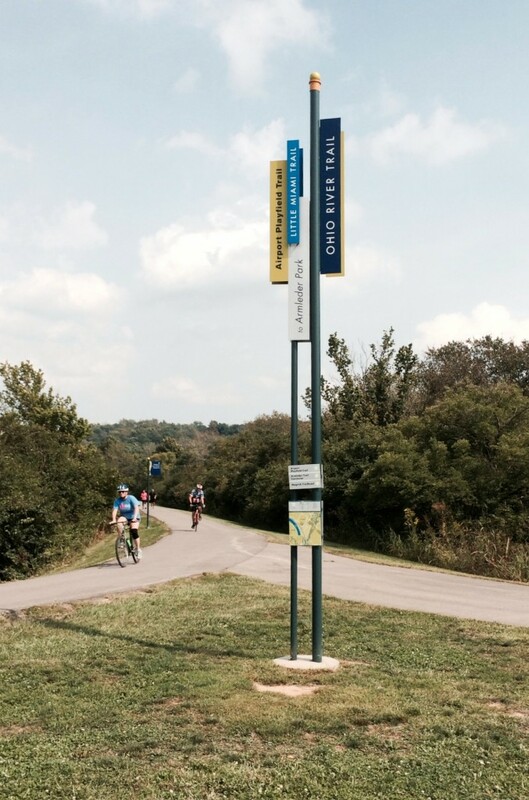 Multiple bike paths already exist throughout the SR 32 Relocation project area. 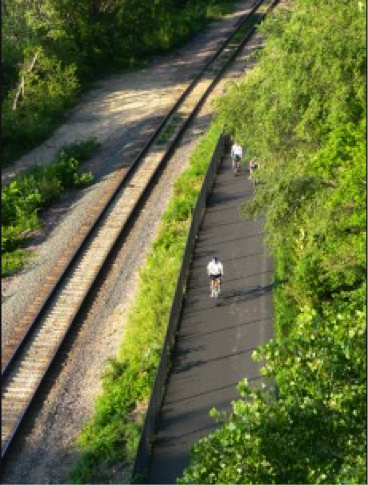 As part of the proposed roadway relocation project, additional paths could be constructed in conjunction with the relocated roadway and the Oasis Rail Transit line–either alongside the relocated roadway or along an alternate alignment—providing additional route alternatives for bicyclists. These options will be explored in more depth and community input will be sought as the project advances in development and potential project alternatives are more clearly defined. 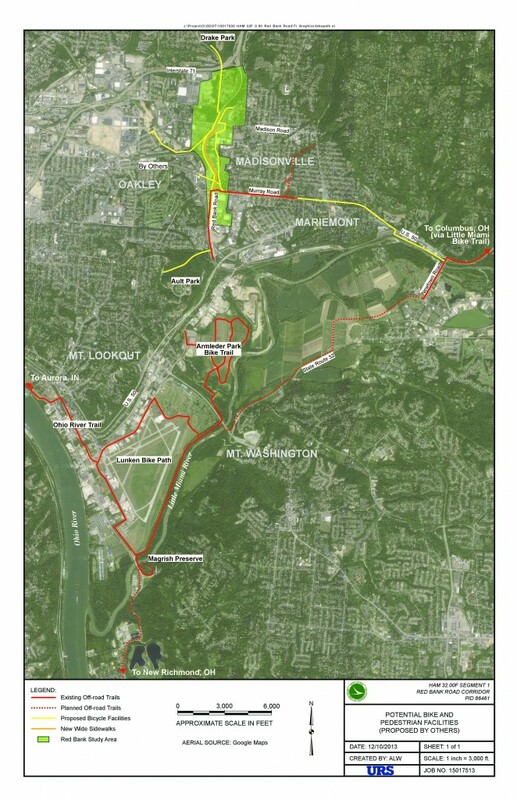 There are multiple options to be considered, particularly between Lunken Airport and downtown: a bike path could potentially follow the Oasis Rail Transit corridor; it could travel along the riverfront; or, it could follow an alternate route to be established between the Ohio River and Columbia Parkway (US 50). Regardless of which option is ultimately selected, providing accommodations for bicyclists is an important part of the Oasis project. Oasis Transit stations would also be more than simply stops for the train. These transportation hubs are envisioned as community gathering spaces that provide access and connections supporting many modes of travel: train, car, bike, bus, and even walking. Bike-friendly features such as bike paths, access ramps, bike racks, and level boarding options could be incorporated into station area designs. Community input will help further hone in on the possibilities to be considered. 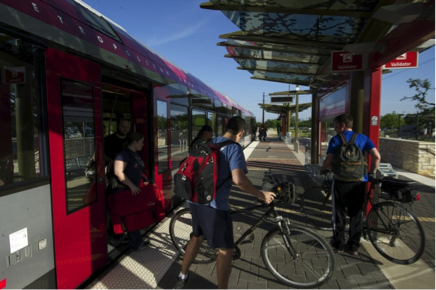 Click here to learn more about the Oasis Rail Transit stations.